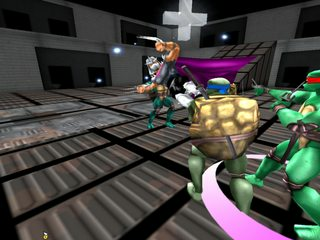 Here you’ll find the full version of my Teenage Mutant Ninja Turtle mod. 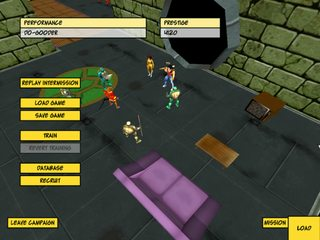 I had previously released a mini-mod of sorts, but this release will have almost the entire first story arc included, along with a whole passel of TMNT characters, including fan favorites (and personal favorites) Bebop and Rocksteady, but also including Krang and the Fly! 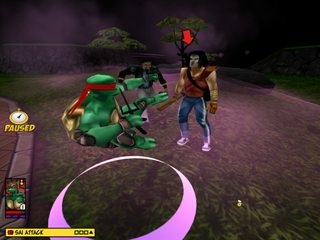 This mod has 9, count them, 9 missions, which will take our half-shelled-heroes from their first encounter with the Foot Clan up to their discovery of a strange and sinister secret hidden below the streets of New York! 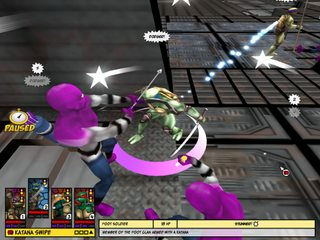 Along the way you’ll take command of the green teens as they battle the deadly Foot Clan, face the mechanical menace of Baxter Stockman’s Mousers, struggle against the mutated might of Bebop and Rocksteady, and even cross blades with the mysterious Shredder! 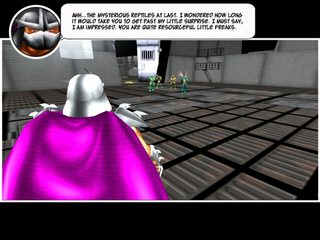 Krang and Baxter aren’t featured as opponents in the campaign itself yet, but they are both included, and you can play as or against them in the Dangeroom if you want to test their metal! 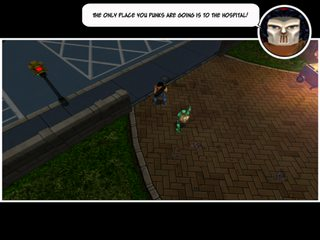 This mod also features the first contribution to the FF community by newcomer Adam Winters. 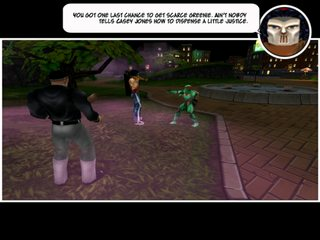 He has really increased the quality and comprehensiveness of this mod by creating three new voice packs with samples pulled from the original Turtles cartoon. 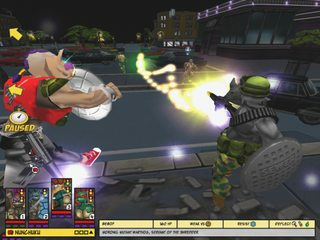 He’s created packs for Splinter, April, and Shredder, bringing the memorable and excellent voice work of that classic show to life in Freedom Force, and bringing a lot more personality to their respective characters within the game. We are also lucky enough to get some custom mission music from the multi-talented ow_tiobe_sb! 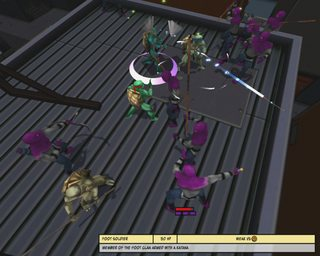 Now we have some music made especially for the levels of this mod. So, what are you waiting for? Take a walk down memory lane, and see if you can keep from smiling when you load this mod and hear a familiar song on the main menu. 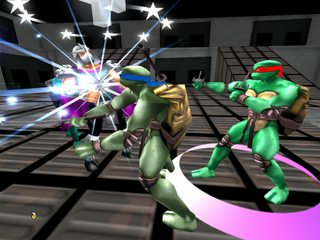 Take some time to remember why you loved the Turtles way back when, and why you should definitely still love them now! Or you can Check out the Readme! 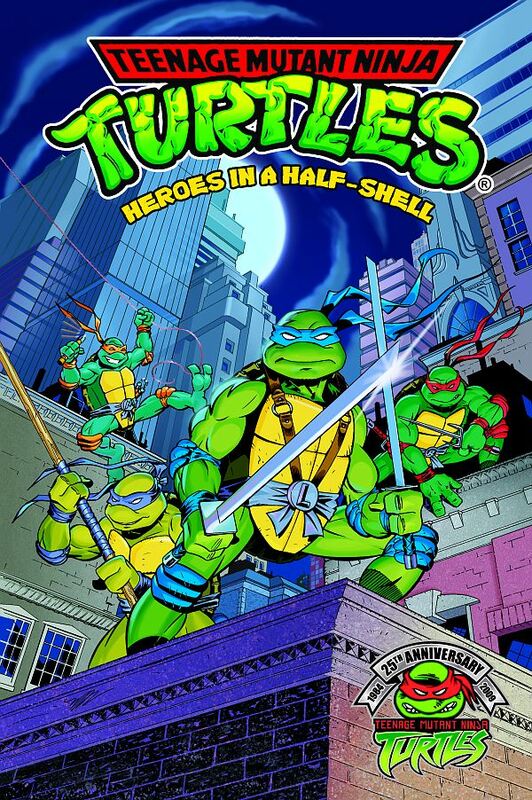 Look for more Ninja Turtles action coming soon! The next installment will take the Turtles into the Technodrome to face the cruel alien warlord Krang! With any luck (and with YOUR help! ), it will also see the introduction of a host of new characters, including the Punk Frogs, the Rat King, Metalhead, Leatherhead, and others!